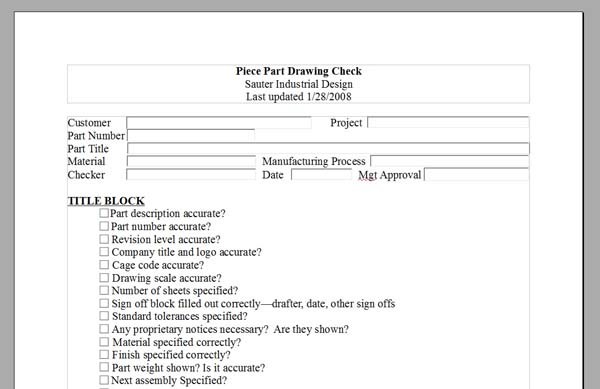 A checklist for a piece part drawing. Are the part description and part number accurate? Were the material and finish specified correctly? Designers need to actually do the check. Illustration courtesy of Sauter Industrial Design. All designers need the self-discipline to follow certain basics of engineering design and manufacturing and apply them to their company’s needs. 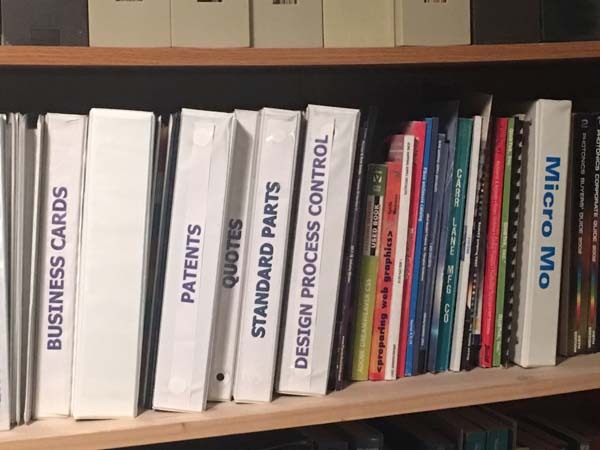 Editor’s Note: The following is the first in a series of four articles contributed by industrial designer Ken Sauter on the basics of design engineering. Design engineering is not rocket science. Almost everything about how to design and build products is well-known, has been studied to death, and anything you want to know about any kind of product or design process is available. Yet, in my over 40 years of designing products, I have seen the same, simple, avoidable mistakes happen over and over again. We do our jobs every day, we have systems in place to get things right, and we get products shipped to the customer, so our company gets paid and stays in business (most of the time). That’s all well and good, but how much scrap do you deal with? How many times do you solve the same problem over and over? Is your design process truly efficient and effective? How much money, time, and human effort do you regularly waste on bad parts and inefficiency? 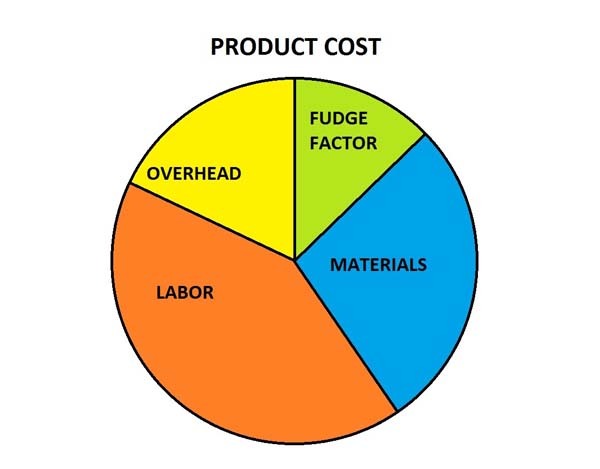 I have long thought of what I call a “fudge factor” — the difference between what it should cost to produce a product versus what it actually costs. If you can get that fudge factor down to zero, you have a perfectly efficient process in place. If anyone could achieve that, it would be an impressive accomplishment. I have never seen that happen. There is always inefficiency to deal with, and usually quite a lot of it. I believe there is also a “fudge factor” for design: How long should it take to design something properly versus how long it actually takes, and how well does the design do the job it is supposed to do? Measuring that fudge factor is a little more complicated. Design is a known process: Specify the problem, define the solution, generate design requirements, then design and build the product. What we frequently fail to do is fully define each part of that process and then check to make sure we’ve done everything at each step of the process. I think we all understand the process pretty well, but what we don’t seem to understand is how critical it is to fully specify each part of the process, check to make sure it’s done right, and how to implement that checking process. Design is a serial process. There are approaches to design that implement parallel efforts, but the process is inherently serial. You can’t build something until you’ve designed it, and you can’t design something until you know what you’re designing. You don’t know what you are designing until you know what problem you’re trying to solve. Then you have to ask if the problem you’re solving actually needs solving, or is there a better approach to dealing with the issue? The difference between what it should cost to produce a product versus what it actually costs could be called the “fudge factor.” The same reckoning could be applied to design: How long should it take to design something properly versus how long it actually takes, and how well does the design do the job it is supposed to do? Graphic courtesy of Sauter Industrial Design. Early on, when I started my business, I had a customer that wanted me to design a product that was going to use a laser. I kept asking for specs on the laser, so I could integrate it into the unit, but they wouldn’t give them to me. I finally found out who was designing the laser, and when I contacted them, they said they hadn’t designed it yet. I can’t incorporate something into the design if I don’t know what it is. But unless your customer can specify what they want in sufficient detail to generate a complete set of design requirements, you’re going to be making assumptions. Maybe you know your customer well enough to make those assumptions, but it’s dangerous, nonetheless. At some point, you have to tell your customer that they need to specify exactly what they want. You can’t proceed until they know what they want. Once you know what your customer wants, you have to specify the product’s operating environment, how many you’re going to build, and lots of other things that bear on how you design the product. How completely and accurately you detail these requirements is going to affect everything you do from here on. If you miss a critical requirement, it could end up being costly to correct the design. This is where I consider it extremely important to have a standard checking process that you apply to every step of the design process. This is where the design process frequently fails. Not only do you need to have a standard way of checking that your design requirements are complete and accurate, but you need a way to make certain you actually do the check. Having an established process and a checking procedure for verifying that you’ve done it correctly is worthless if you don’t actually follow it. People can be lazy, and it’s easy to skip things when we’re in a hurry. There will always be emergency situations when you override the system to get something urgent done. You must figure out how you deal with those situations without compromising your design process. If everything is an emergency, you’ll never get things done right. All too often, software is considered a solution to design problems, but somebody else wrote the software, they weren’t part of your company, and it’s highly unlikely that they fully understood your particular design and manufacturing process when they wrote it. No matter how fancy the software is, you will have to customize how it works for your company, as well as figure out how to integrate it into your existing system. To do that, you have to understand your particular design process first. No matter how good or sophisticated the software is, you have to understand what you’re doing with it and how it must be done. From specifying customer requirements to shipping the product, you need to understand what’s going on and how to manage your process. Software can be incredibly helpful, but nothing can replace your own accurate and complete understanding of your particular process. It’s essential to get your design requirements right, including target production costs and projected timetable. Unless your customer can specify what they want in sufficient detail to generate a complete set of design requirements, you’re going to be making assumptions. Illustration courtesy of Sauter Industrial Design. There have been numerous studies of design, manufacturing, and every aspect of product development for as long as human beings have been building things. There is no aspect of product design and manufacturing about which you can’t find some study that analyzes the subject to death. Yet, despite all that available information, most companies don’t use that information to their benefit, and are probably not even aware of it. Although some companies do use that information to their benefit, they have to make a fully management-supported effort to do so. Without full managerial support, it’s not going to happen. What usually happens is “satisficing”1, as Herbert Simon said—Do the job well enough, then move on. There usually isn’t enough time available to study, analyze, and implement the recommendations of those studies in a way that uses them effectively. Yet there are basic principles to engineering design and manufacturing that need to be followed, diligently and carefully, for design to be done right. That means that each designer and his or her manager must discipline themselves to follow those principles and apply them to their company’s needs. Only following those basic principles diligently and intelligently will optimize your company’s design and manufacturing process. Now, let’s get into the details of how to do design engineering right. 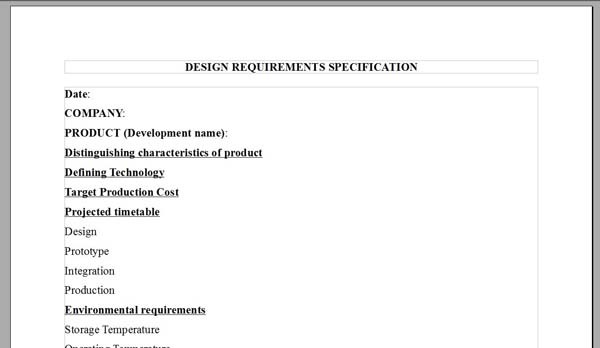 First, you have to get your customer’s specifications for what they want. That means first defining who the customer is. It may be one person or a group of people. In military contracts, you have the purchasing authority, who spends the money, then there are the military authorities who are in charge of the program and decide what has to be provided to the troops. Then there are the individual soldiers who actually use the product. Who the stakeholders are must be officially defined, and those stakeholders have to specify what they want. So, the first part of design is defining who the customer is, then getting them to define what they want. The military provides a statement of work (SOW) that provides detailed requirements for whatever it is you’re designing. In general industry, you can get anything from a SOW to a simple verbal explanation of what the customer wants. However the customer defines what they want, you have to translate those requirements into design requirements that you can address. You will generally end up with a list of design requirements, and they won’t always be the same as the customer’s requirements. Not that they conflict with the customer’s requirements, but they have to detail the specific things you address in your design to give the customer what they want. Your customer cares about what you put in their hands, not so much about how you get it there. When a customer defines what they want, they are thinking of how the end product is going to fit into their process and how they are going to use it. What you need to do is translate those requirements, as best you understand them, into things you can address in your design. Your customer may be thinking that they want something they can hold in their hand and manipulate a certain way. You must decide how much the product has to weigh for that to be possible, what configuration it has to have so the customer can hold it the way they want to, and how the product is going to interface with other things. Ergonomics may be a major factor in your design. You may also have to figure out how you can use your own standard parts in the design to make it easier to manufacture and less expensive. Customer requirements are never complete. You always have to derive the specific requirements you’re going to address in your design from the customer’s requirements. And you have to make sure that your design requirements actually do address the customer’s requirements. That’s another check that must be done. 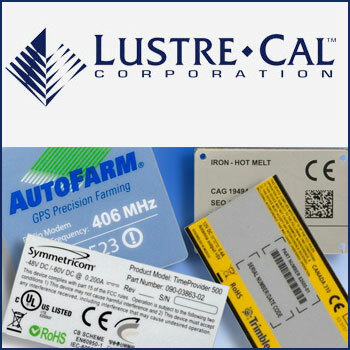 You’ll probably need to have some meetings to discuss customer requirements and how they translate to what your design and manufacturing process can address. You may even need to discuss things with your customer, to some extent, to clarify exactly what they want. You should end up with a list of design requirements that you can refer to whenever you do status reports on your design. I find lists incredibly helpful. They are a simple, concise way to step through an evaluation and make sure you’ve addressed everything. First, though, your list must be complete. And you have to do the check. A designer must organize one’s information. Illustration courtesy of Sauter Industrial Design. Once you have a list of design requirements, you may want to give that list to your checking department, assuming you have one. If you’re using your checking department to verify that design requirements are met, they are going to provide useful and helpful input to your designers and engineers as the design progresses. As long as you have a separate checking department, that is. Having engineers check their own work is not a good way to check things. You need separate checkers whose purpose it is to do nothing but make sure all requirements are addressed. Engineers want to get the job done and don’t like hindrances. I know. I am one. Separate checkers, who do nothing but checking, will make certain the requirements are addressed. Then there is the schedule. How much time you have available to do the design determines a lot of things for you. I was working on a project once that I knew was going to take at least six months to get done. The manager for this project decided that he wanted it done in three months and demanded that we get it done that quickly. He was assuming that he could simply demand a shorter schedule and make it happen. I knew it would take at least six months, and it did. The design process has to go through certain stages, and demanding that it be quicker is not going to make it quicker. Only if you understand and analyze the process, then eliminate things that take time, are you going to make the process quicker. Designing a battleship isn’t going to happen in three months no matter how much the customer wants that to happen or how much they spend on it. You must realistically determine how much time you have available to do the design, then determine what you can do within that time frame. It is management’s responsibility to allocate enough time, designers, and resources to get the design done properly. And management should enforce a full set of checks at each stage of the process. Those checks are absolutely critical. They take time, but a lot less time than it takes to do the design over. Once you have a list of design requirements and a schedule, you have to be realistic about what you are capable of manufacturing. I worked at a company a few years ago that had a customer who insisted that we build 18-inch welded assemblies that were accurate to ±0.010 inch. If you’ve ever dealt with welding, you know that holding ±0.010 inch over 18 inches is pretty much impossible. One weld can warp the part more than that. Yet, the customer insisted that we hold those tolerances. They obviously didn’t understand that welding isn’t capable of holding those tolerances over 18 inches of part. The sample parts they supplied to us, which they had previously approved, weren’t within those tolerances. They never got the tolerances they said they wanted, yet they insisted that we hold them. There are some times when you have to tell the customer that some things just can’t be done. The impossible usually takes a little longer, but sometimes the impossible is just, well, impossible, and needs to be treated as such. Don’t waste your time trying to do the impossible. Stay within your capabilities. Nothing that I’ve said here is new. Even so, it all must be done in order, and every step in the process needs to be checked. I emphasize checked—preferably, by someone who does nothing but checking. And management needs to be on board with the necessity of checking things. As I said earlier, design is not rocket science, but there is a process that must be followed for design to be done correctly. Aside from having an accurate and complete set of requirements, the most critical part of that process is checking your work against requirements at each step of the process. We all know the process, but do we actually check our work against the requirements we are designing to? How often do you just merrily design away, then find out you missed something important when the part gets built? Then you do it over. And that happens repeatedly. Only if you stop and check your design against the design criteria will you develop a design that does what it’s supposed to the first time. There is no such thing as a perfect designer. That simple fact dictates that we need to check our work consistently and regularly to ensure that we are following the process and doing everything that needs to be done to generate a great design and do it well. And that job of checking is best done by someone other than the designer, whose job is nothing but checking. Ken Sauter is president of Sauter Industrial Design (www.sauterindustrialdesign.com), Garland Texas. An expert in designs involving optics and electronics, Ken has extensive experience in designing complex optical systems—including night vision equipment for the military—for manufacturability and reliability. His work includes projects ranging from a large-scale microwave oven for a hospital to an interior for a custom airplane; a flight simulator; plating equipment; sheet metal NEMA boxes; and truck bodies. Ken also has experience with sheet metal, weldments, molded parts, machined parts, and many other methods of manufacturing that are used to produce his clients’ designs. 1Rational Choice and the Structure of the Environment. Herbert A. Simon, 1956.